Quantity: up to 5-6 units. 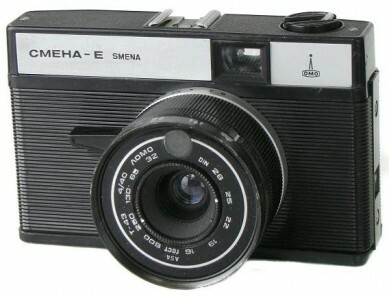 At least 2 versions of prototype Smena-E are known to exist. 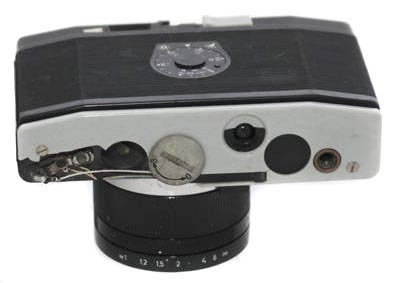 An early camera comes with internal accessory shoe and originally designed nameplate. 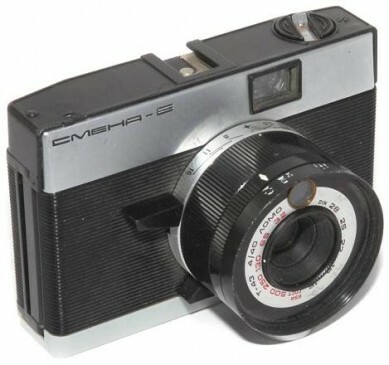 2nd version is based on regular Smena Symbol body with few variatons known so far. PK3905. 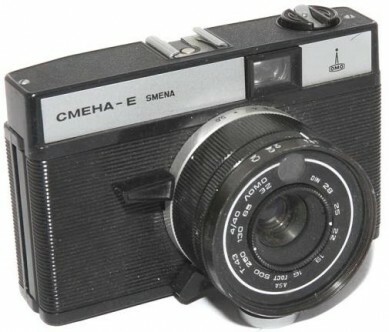 An early "Electronical" version of Smena Symbol camera. Some external and internal details allow us to say exact date of prototype release - 1971! 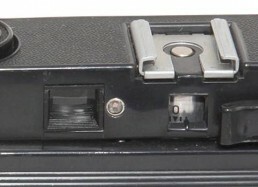 An internal accessory shoe and gray colour shutter advance lever, as on early gray-top Smena-Symbol cameras. No serial number on body nor lens. 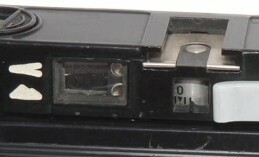 2 warning light diodes in the rear finder's window (see picture below). PK3905 - Smena-E from Alain Berry (France) coll. 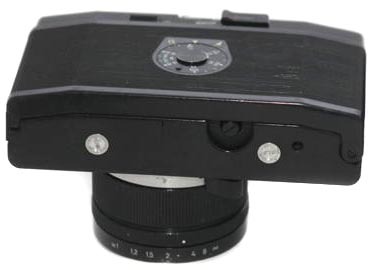 PK3905 - Smena-E prototype camera. PK3910. 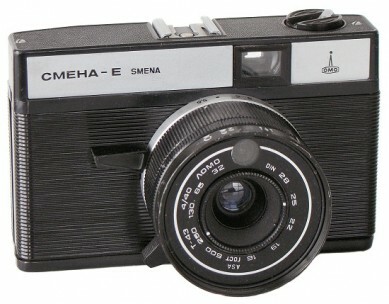 "Electronical" version of Smena Symbol camera. Some external and internal details allow us to say exact date of prototype release - late 1971 - early 1972. An external accessory shoe, no serial number on body nor lens. No warning lights on the rear side, close to finder's window (see picture below). 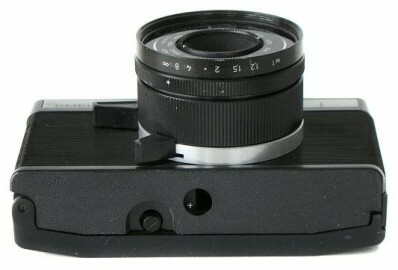 PK3910 - Smena-E prototype camera. PK3915. 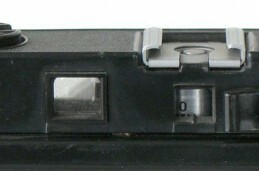 Camera identical to PK3910, but with warning light diode on the rear plate, close to finder's window (see picture below). PK3915 - Smena-E from Alain Berry (France) coll. PK3915 - Smena-E prototype camera.